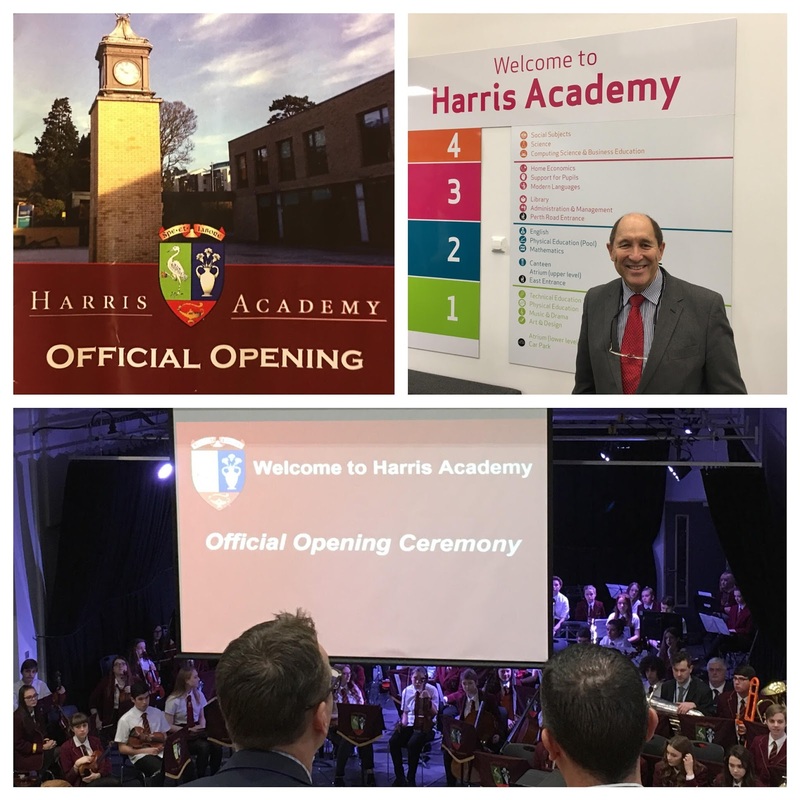 Earlier today I attended the official opening of Harris Academy. The ceremony was led by senior pupils from the school and the unveiling of a commorative plaque was undertaken by John Swinney MSP, the Cabinet Secretary for Education and Skills. We were piped into the school and also enjoyed several well chosen and beautifully performed musical pieces by the school orchestra and bands. I was particularly impressed by Beth Wood, a senior pupil, and her song "New Beginnings". She had recorded her song and it was used as the soundtrack for the video tour of the school. Beth's chorus line "This is our new building, this is our new beginning" struck just the right chord. It was clear from staff and pupils who worked through the three year decant to Rockwell that they were relieved to be back on the Perth Road enjoying their new school buildings and facilities. My only regret is that, from the feasability study completed in March 2009 that I had instructed in my time as Education Convener, it has taken seven years to realise our ambitions for a new Harris Academy. It is clear, however, that Councillors made the right decision to rebuild the school from scratch rather than refurbish the existing buildings from the 1930's and 1960's.